and Same-Day 24/7 Emergency Services. Servicing our community by providing more for less. We are here for you when your plumbing isn't. 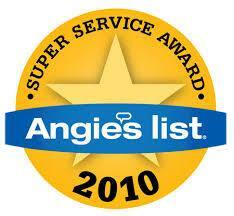 You're Next in Line for Top-Quality Service in Southwest Florida! Prior to the establishment of Next Plumbing, our head Fort Myers plumber in charge owned and operated several other large franchises in the area. Although successful, he realized that there was still a void in the industry that needed to be filled: a personalized customer experience. So what did he do? He started from scratch and got back to the basics by delivering traditional customer service designed to exceed expectations, which explains how our company came to be. Next Plumbing's #1 priority resides in building life-lasting relationships with every customer served, which is why we go above and beyond to deliver service no less than the best. Next Plumbing stands out from other plumbing service providers in the area because we're a family-owned, locally operated, and non-franchised company. We also work alongside local charities to give back and help make a positive difference in our community. Our contractors have served the area's plumbing needs for more than 30 years, and a great majority of our customers have enlisted our services for that same amount of time. Throughout our years in business, we have eliminated over 300,000 plumbing headaches on behalf of residential and commercial property owners throughout Southwest Florida. Have a plumbing request? Call (239) 307-0404 or fill out our online contact form to schedule a service. Find out more about our company and what it's like to be on the Next Plumbing Team! Whether your drains or sewer are clogged, your faucet stopped running, or you have a backed-up garbage disposal, Next Plumbing handles it all. Have an urgent request? Our team stays on-call 24/7 for emergency plumbing needs. We take our reputation for plumbing excellence seriously, and we are dedicated to preserving our legacy by handling every job with timeliness and quality. When your plumbing's in trouble, you can always count on the Next Plumbing team to be there on the double. Keeping our customers enthusiastic and satisfied is our #1 goal. Need financing for new equipment? We offer an array of options for you to choose from, that way you can improve your comfort while staying within the means of your budget. Start discussing solutions with our team today! Convenient Customer Protection Plans No Obligation. No Pressure. No Stress. Easy and affordable protection plans to help keep your plumbing system working effectively. Emergency services at no extra charge.